difference and high automation. The bricks dried are of good quality and low water content. 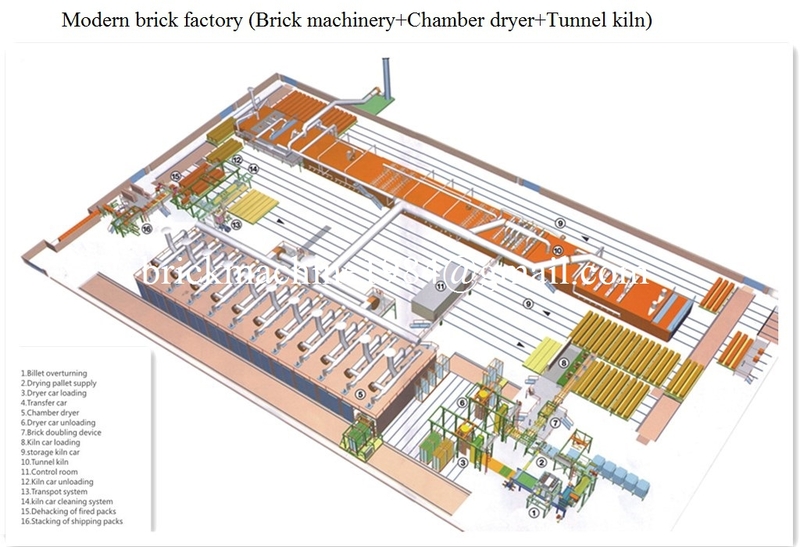 The dryer adopts brick-concrete structure, cast-in-place concrete roof. Drying chamber heat source is residual heat from the tunnel kiln, which is transferred by the external pipeline.The drying chamber is equipped with air supply system, air exhausting system, and the detection system. Tunnel kiln is equipped with complete smoke exhausting system, cooling system, heat extracting system, under-car pressure balance system and monitoring system. The firing schedule will be more reasonable through the adjustment of above mentioned systems. Disadvantages: the double setting process needs more machinery and investment. (7) Fuel: Coal,gas,heavy oil etc..